How about living in the Estate section of Ballantrae? 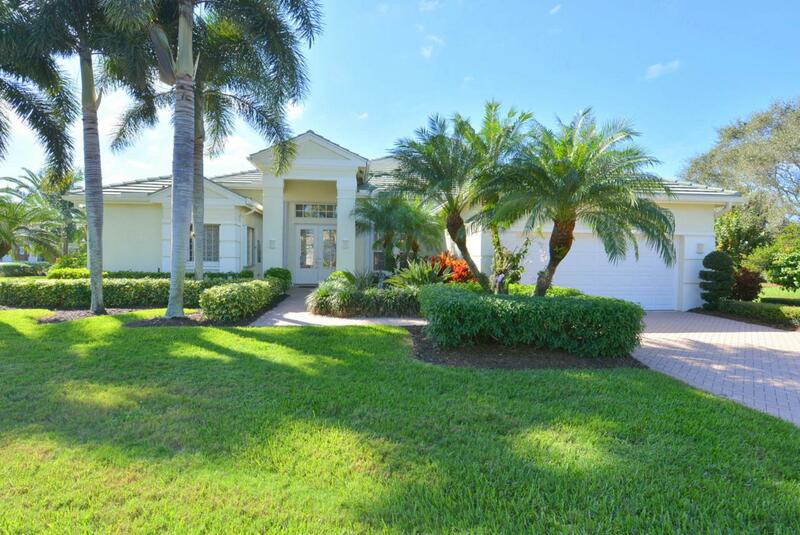 Check out this beautiful Nautilus model pool home with 3 beds and 3 seperate baths on a meticulously landscaped lot with mature palms and fruit trees. The house is sold furnished with present owners only taking a few personal items and some art. Tile in main living areas and laminated wood floors in bedrooms. Corian countertops in kitchen and stainless appliances. Custom lighting ,ceiling fans and crown moulding throughout. Pool is heated and there's plenty of deck space for relaxing in the sun. Accordian shutters for storm protection. Ballantrae is on Santa Lucia River Club and golf course where memberships are available very reasonably but not required. Docks may be rented as well when available. Ready now for this winter.